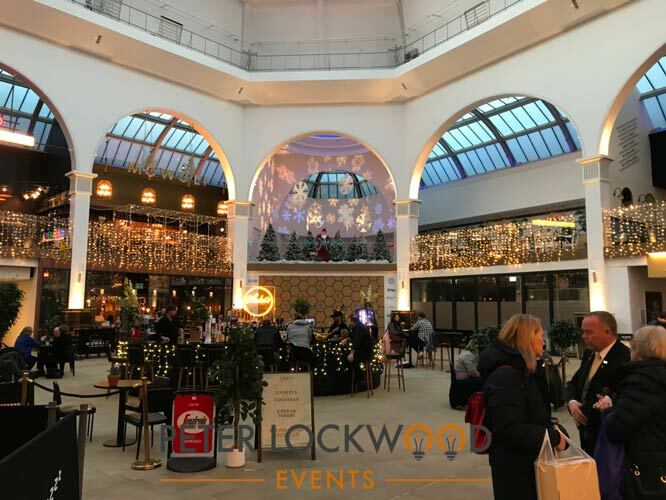 Snowflake Christmas lights hire in the Corn Exchange Manchester. 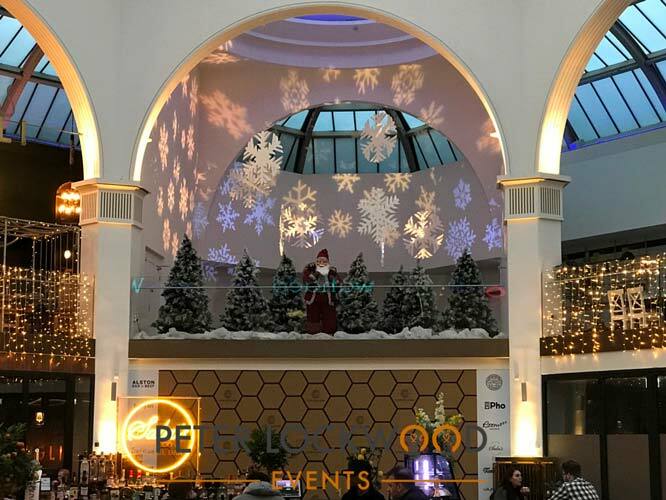 We provided three 150w warm white profile spots to project snowflakes on one of the balconies at the Corn Exchange in Manchester. 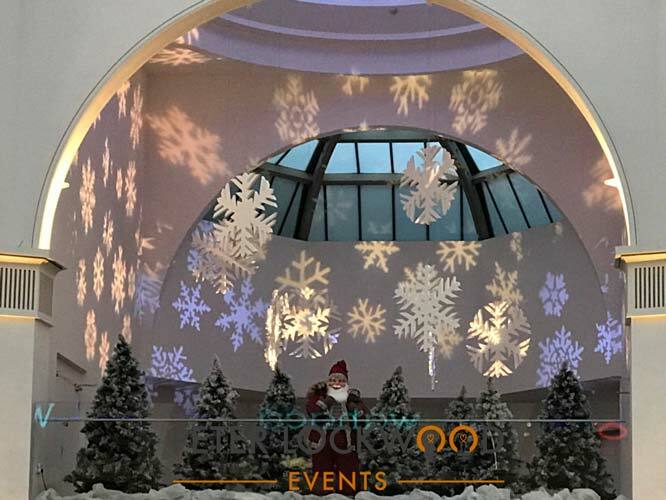 We used warm white to match the feel of the building and to fit in with the fairy lights running round the building. 2 smaller snowflake lights had a blue gel fitted and used as infill in the corners. Led lights use much less power than traditional theater lighting making them greener but provide a good lighting output.